Could a solar storm cause havoc on Earth? Can we predict space weather to create solar forecasts? NASA scientist Dr. Ryan McGranaghan will present his lecture Living with a Star in the Era of Data Science at UNB’s Fredericton campus on Jan. 15 at 6:30 p.m. in the John Meagher Auditorium, room 215 of the Kinesiology Building. Dr. McGranaghan, principal data and aerospace engineering scientist at ASTRA Associates, will explore how solar explosions from the sun directly impact life on Earth and examine the role of data science in the ever-changing landscape of the space weather system. In 1989, Quebec’s entire electric grid was disabled, leaving the province blanketed in darkness and the Toronto Stock Exchange was halted as computers crashed one by one. If these events were to happen today, we would assume a cybersecurity breach was to blame. The real question isn’t who did it, but what? 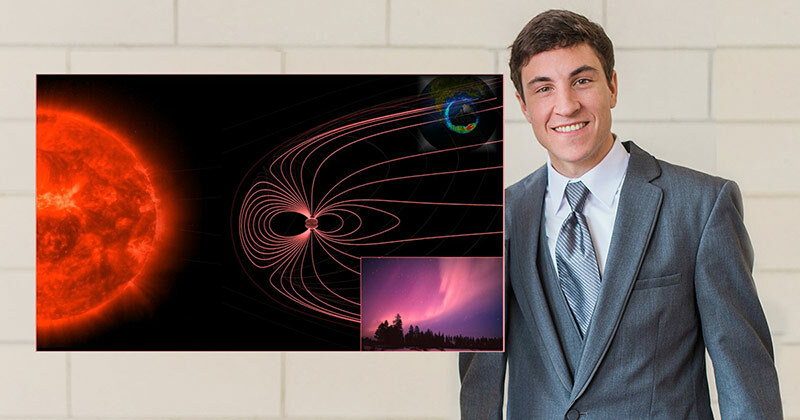 By using data visualization, Dr. McGranaghan will illustrate how blasts of solar plasma hitting the Earth’s magnetic field cause widespread blackouts, jam radio signals, send communication satellites tumbling out of control and why the northern lights can be seen in Cuba. According to reports by NASA, a natural space disaster was avoided in 2012 when the sun spewed two colossal plasma clouds that narrowly missed the Earth’s atmosphere by one week. The National Academy of Sciences estimates the total economic impact by a geomagnetic storm of that magnitude is $2 trillion in damages and would take four to 10 years for society to recover. Dr. McGranaghan is dedicating his life’s work to improving the understanding of near-Earth space environment to foster new discoveries in a new frontier. His research focuses on ionospheric and atmospheric remote sensing at the NASA Jet Propulsion Laboratory. All members of the public and the UNB community are welcome to attend the lecture today at 6:30 p.m. in the John Meagher Auditorium. There is no admission charge.